Privat sommerhusudlejning samt værelsesudlejning ved Limfjorden på Mors og Salling. Bed and Breakfast, møblerede værelser, overnatning, ferielejligheder, helårsudlejning af fritidshuse og lejrskole/stort sommerhus. Vi formidler endvidere udleje af et sommerhus 100 m fra molen i Nørre Vorupør. Klik her. Nærmere information kan rekvireres. Se vore mange service-tilbud i menuen til venstre. Finder du noget af interesse, så klik på "Kontakt" i menuen og ring eller send en mail : karenms@mail.dk . Vi svarer hurtigst muligt. God fornøjelse ! Wilkommen! Sehen Sie bitte unsere Angebote in "Menu" nach links. Ferienhausern privat zu vermieten, Bed & Breakfast , Zimmer. Senden Sie uns ein Anfrage oder telefonieren Sie bitte bei "Kontakt" im Menu zu gehen hier nach links. E-mail: karenms@mail.dk Viel Vergnugen ! Welcome! In the menu you see, what we have got to offer you. Bed and Breakfast, rooms and private holliday-cottages for rent. Perhaps write a message for us or make a phonecall. You find us in "Kontakt" in the menu to the left. E-mail: karenms@mail.dk Please enjoy ! The Limfjord is home to many charming islands, among them the island of Mors, which boasts numerous family-friendly attractions. These include Jesperhus Flower Park, a popular family destination that attracts visitors with its displays of exotic flowers and other attractions such as a large indoor and outdoor water park. 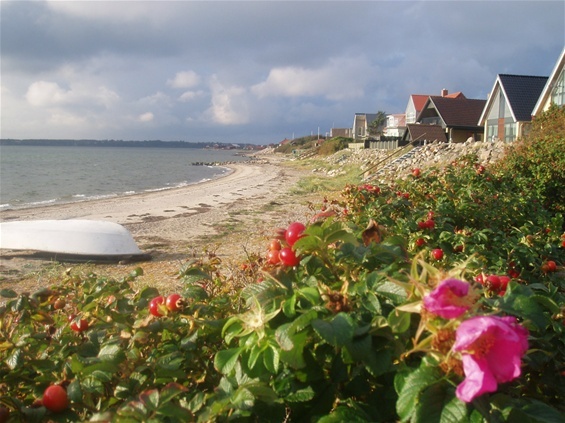 The Limfjord beaches are mostly flat and child friendly, while the coastline is well suited to wind surfing and other water sports. This entire region offers countless opportunities to sail, surf, dive or try your hand at water skiing, and is also an ideal place for the kids, who will enjoy building sandcastles or frolicking in the waves. http://www.creditweb.de/ http://www.romantik-50plus.de http://www.ferienwohnungen-ferienhaeuser-weltweit.de/auswobj_d.aspx?Land=FR">Ferienhaus Frankreich http://www.holiday-home.com/ferienhaus-ferienwohnung/italien.htm">Ferienhaus Italien www.1000ferienwohnungen.de http://www.robotinho.de/">Firmenverzeichnis id=1267035490" http://www.fewotraum.de/kostenlos_inserieren/"